***This event is CANCELLED due to the forecasted rain. Contact Nate Lillge (nlillge@tuleyome.org) if you have any questions. Zim Zim Falls Trail is one of the most popular hikes in the Northern Inner Coast Range. 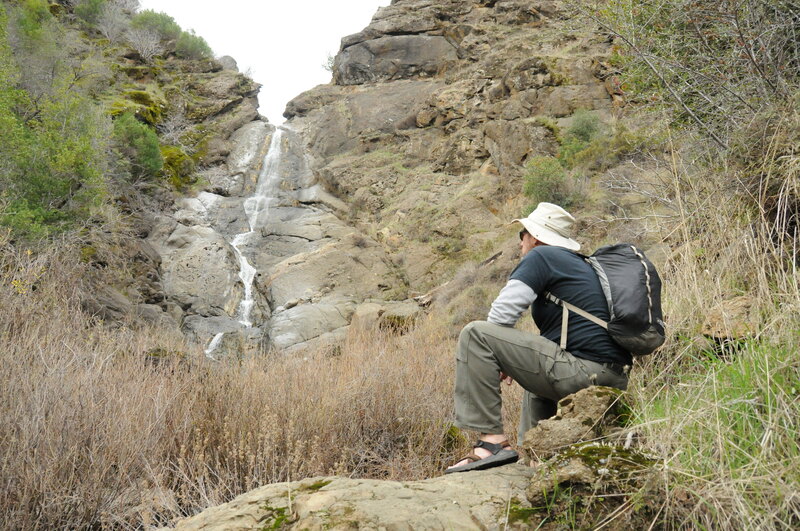 The hike crosses Zim Zim Creek multiple times so be prepared to get your feet wet! If you do not like hiking in wet socks and/or shoes, please bring extra. Trekking poles may help with tricky crossings. It is recommended that you bring a change of socks and shoes for the drive home. Please bring water, snacks, and lunch. How to get there: Take Berryessa Knoxville Road north over both Putah Creek and Pope Creek bridges. After turning away from Lake Berryessa, the road will narrow, roughen, you will pass Berryessa Peak Trailhead wind through public lands. There are several concrete low-water crossings. Watch for the large green gate just before Mile Marker 24. If you see Mile Marker 24, you’ve gone about 100 feet too far. Questions? Contact Nate Lillge at nlillge@tuleyome.org. Note: All participants agree to abide by the terms and conditions of Tuleyome’s waiver of liability which can be see and downloaded HERE. All participants also understand that photographs will be taken at the event. If you do not wish to be photographed, you must tell the photographer and avoid the camera’s line of sight. A $5 donation to Tuleyome is requested but is not required to participate in this event.